Let it snow, let it snow, let it snow! 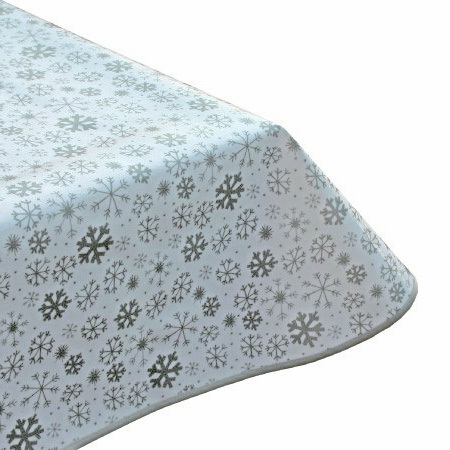 It may be brisk outside, but your table will be warm with this cozy snowflake patterned tablecloth. Mixing various size snowflakes, the print uses a muted white colour combination to blend perfectly with your winter home décor. This would also be a great choice for the holiday season! The oilcloth is finished with an easy wipe clean surface.